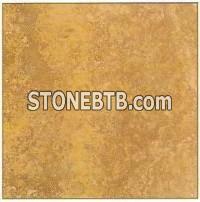 Travertine is often used as a building material. The largest building in the world constructed mostly of travertine is the Colosseum in Rome. Other notable buildings using travertine extensively include the Sacré-C?ur Basilica in Paris and the Getty Center in Los Angeles, California. The travertine used in the Getty Center construction was imported from Tivoli. The website of the Getty Center contains more information about the use of travertine in its construction, including some videos of travertine being quarried and cut for use. 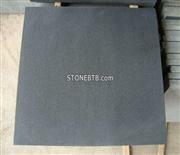 The stone is most widely used in Italy, Greece and Turkey. Travertine is one of several natural stones that are used for paving patios and garden paths. It is sometimes known as travertine limestone, sometimes as travertine marble; these are the same stone, even though it is neither limestone nor marble. The stone is characterised by pitted holes and troughs in its surface. Although these troughs occur naturally, they suggest to some eyes that considerable wear and tear has occurred over many years. Some installers use a grout to fill these holes, whereas others leave them open — travertine can even be purchased "filled" or "unfilled." It can be effectively polished to a smooth, shiny finish and comes in a variety of colors from grey to coral-red. Travertine is most commonly available in tile sizes for floor installations.